The kids got into Valentine’s Day this year by selecting small felted characters to be included in a mobile. Several of these we actually bought at the after Christmas sales. We added all of the hearts with cut felt. This mobile turned out pretty great. It was easy and the girls didn’t want to take it down after the holiday was over. I think that qualifies as a successful project. I have added a lot of new work to my flickr gallery. Stop over and take a look on Flickr. For Halloween this year I made a few cute pillows. 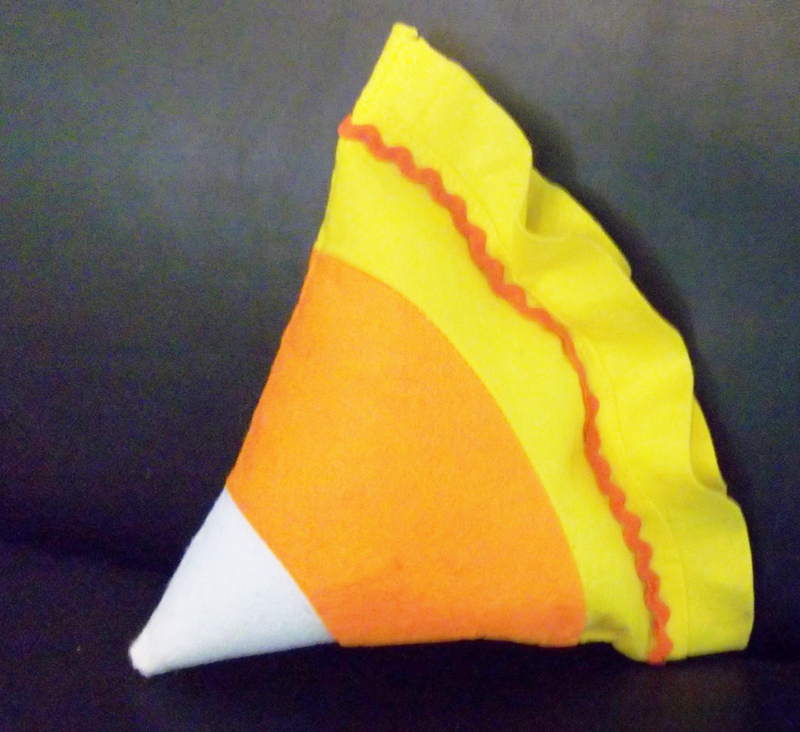 The candy corn was a little felt dollar store hat that both my little ladies wore when they were tiny and this year I stuffed it, sewed up the end, added ric rac and just like that a cute little pillow. For the black pillow I sewed together some flower fabric scraps left over from another project and added in a little piece of a ribbon with a skull on it. 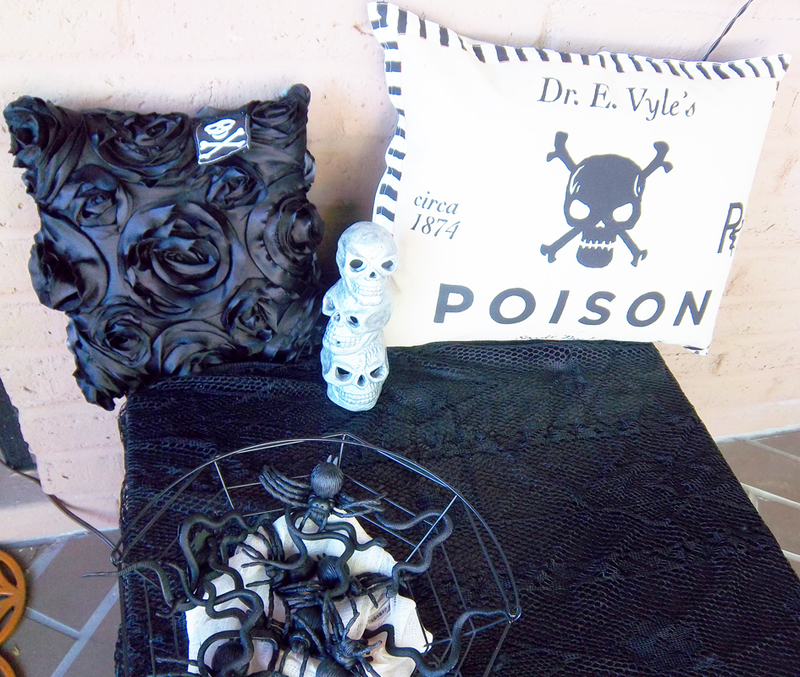 The Poison pillow was a place-mat that I bought at Target for $2. I used a seam ripper to open one end as it was backed with a second piece of fabric, I stuffed it and then sewed it up. Now I have three cute pillows for Halloween decor. To see more Halloween from Lovely Lula click HERE. 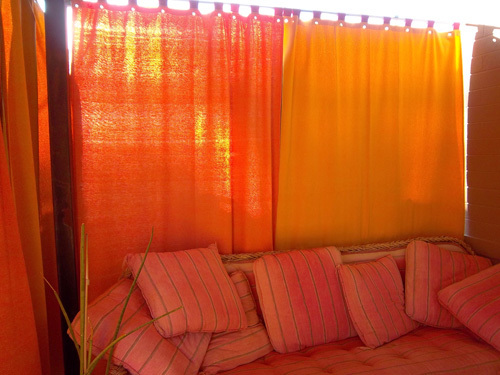 While our planters are being created we worked on the back porch patio. 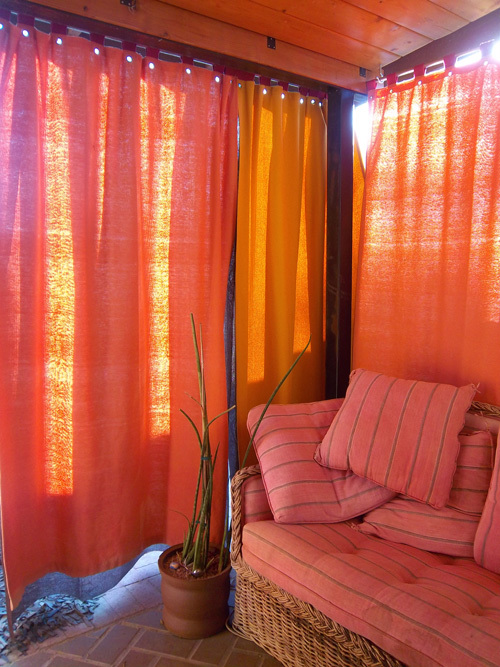 We had tiles put down for the floor surface and found some fantastic vintage wicker furniture for the space. 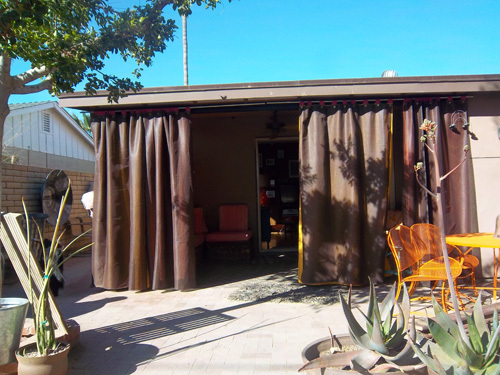 We completed the feel of the cabana by selecting fabric at a supreme discount from Tempe Sales, sewing it to the width and length to create panels that could hang to frame the patio in like a room. 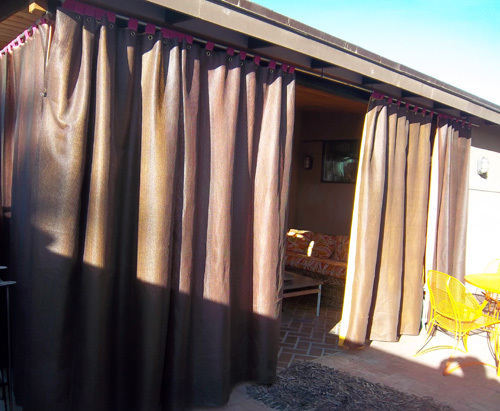 On the outside of the fabric panels we attached sunshade fabric to ensure that it would last through more then just one extremely hot Arizona Summer. 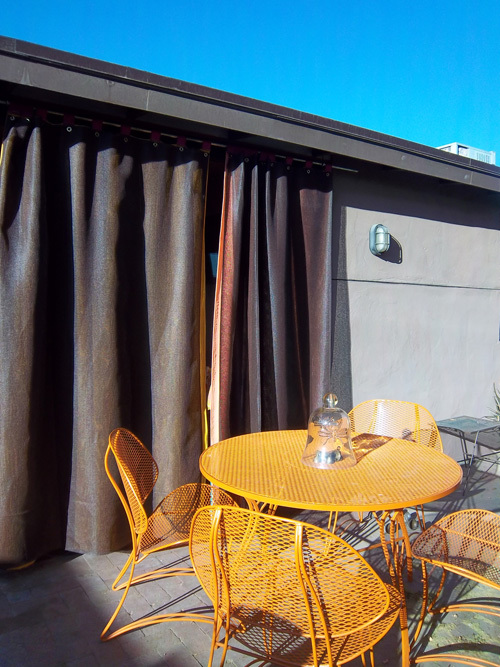 We love our dreamy new space that has a ceiling fan to keep us cool and panels that will allow for shade in the summer months. 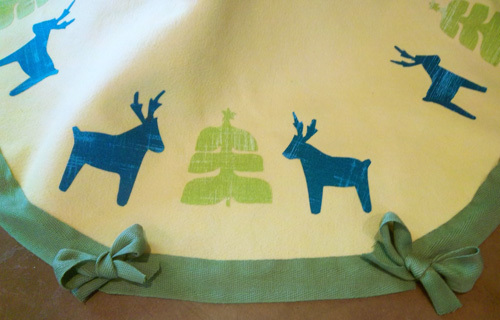 I used Scandinavian Christmas Cards Cartridge to create a Scandinavian Christmas Tree Skirt. 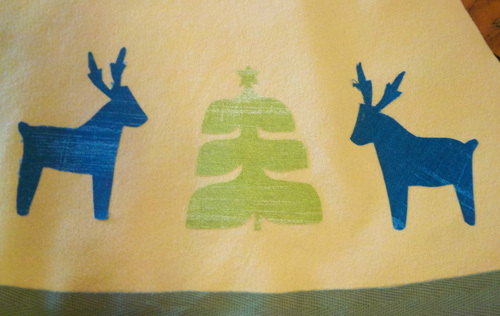 I used my Cricut and the Scandinavian Christmas Cards Cartridge to cut fabric, that I back with heat and bond. I changed the direction of the reindeer so that I had one facing left and one facing right and in the center I place the holiday tree. 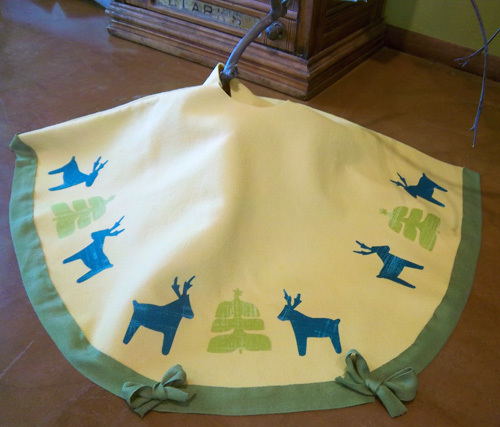 I ironed it on to a large piece of ochre yellow wool felt that I cut into two half rounds and sewed together, it closes with pieces of velcro. I finished it off by adding green cotton ribbon to the edge and a few bows. 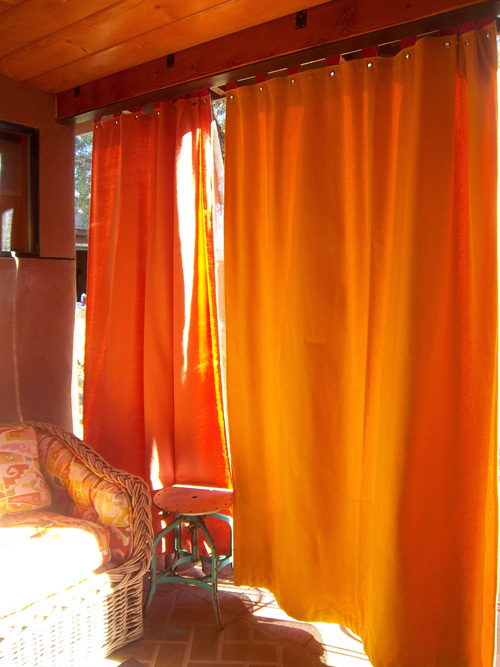 Now I just need all my holiday goodies down from the attic. Where’s the ladder? !